Goodreads says, "1939: Peace has flourished since the Great War ended, but much has changed for the Deverill family as now a new generation is waiting in the wings to make their mark. 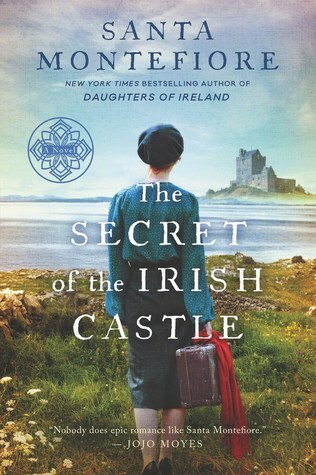 When Martha Wallace leaves her home in America to search for her birth mother in Dublin, she never imagines that she will completely lose her heart to the impossibly charming JP Deverill. But more surprises are in store for her after she discovers that her mother comes from the same place as JP, sealing her fate. Bridie Doyle, now Countess di Marcantonio and mistress of Castle Deverill, is determined to make the castle she used to work in her home. But just as she begins to feel things are finally going her way, her flamboyant husband Cesare has other ideas. As his eye strays away from his wife, those close to the couple wonder if he really is who he says he is. Kitty Deverill has come to accept her life with her husband Robert, and their two children. But then Jack O’Leary, the love of her life, returns to Ballinakelly. And this time his heart belongs elsewhere. As long-held secrets come to light, the Deverills will have to heal old wounds and come to terms with the past if they hope to ensure their legacy for the future." I have been waiting for this final book in the trilogy for awhile now. If you enjoy historical fiction, do yourself a favor and read this series, The Deverill Chronicles. It's one of the best that I've read! What do you guys think? I haven't heard of this series, but I have read the author before and I do love historical fiction - hope you enjoy this one! You should definitely check it out, Angela! Thanks for visiting! Now this sounds really good. Wonder what secrets this family has been holding onto all this time? Great pick. I hope you get to read this one soon! Thanks, Jenea! It's an awesome series with a fantastic Irish setting. Thanks for dropping by. I have heard of this author and saw this book recently. Have not read any of her books. Love the cover! She's one of the best historical authors in my opinion! Thanks for visiting, Kay! I haven't seen this one around. I do love the premist tho and have to read this one myself! I hope you get a chance to read it.